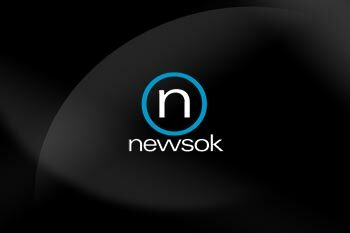 The Ongoing Coverage Library compiles all of the pages created by NewsOK editors to follow stories and events that have broken the mold of normal news activity and become complex topics that span months or even years, requiring special, ongoing coverage. Coverage of the 2015 OSU homecoming parade crash. Oklahoma has a problem with prescription drug abuse and addiction, and this investigation series by The Oklahoman and Oklahoma Watch paints the state's problem. There's a shortage of the highly trained workers needed to fill those high-paying jobs in Oklahoma City in manufacturing, research and aerospace. It’s an issue that has the attention of many Oklahoma employers, civic leaders and educators. Ongoing coverage of the stabbing death of Oklahoma Labor Commissioner Mark Costello. Complete coverage of the beheading that happened at Vaughan Foods in Moore, Okla.
Read the story about Christopher Lane and how he became a victim of a thrill killing in 2013. Complete coverage of the May 20, 2013, tornado that ripped through Moore, Okla.
Oklahoma State University women's basketball coach Kurt Budke, assistant coach Miranda Serna, former state Sen. Olin Branstetter and his wife, Paula, were killed in a plane crash in Central Arkansas. Oklahomans looked into the dark sky and saw terror. On May 10, 2010, multiple tornadoes touched down across Oklahoma leaving several dead, many injured and countless amounts of damage in their wake. Ongoing coverage of Oklahoma's Department of Human Services. Metropolitan Area Projects was a pitch by city leaders for a variety of public projects to boost economic development and quality of life in Oklahoma City. Complete coverage of the triple homicide of the Hruby family in Duncan, Okla.
Just days after the May 20, 2013, tornado that ripped through Moore, central Oklahoma faced a night of harsh storms. Authorities are investigating the death of an Oklahoma City woman and accusations that her husband was running an illegal gambling operation out of their home. Profiling the most wanted and at-large fugitives from the Oklahoma Department Of Corrections. Nineteen-year oldCarina Saunders was reported missing on September 28, 2011. On Oct. 13th, 2011 Saunders' body was found dismembered in a duffel bag behind a Homeland Store on NW 23 and Rockwell. On May 24, 2011, multiple tornadoes touched down across Oklahoma leaving several dead, many injured and countless amounts of damage in their wake. Coverage of the Oklahoma City Memorial Marathon. Complete coverage of the Oklahoma City Bombing. The Rev. Carol Daniels, 61, was found dead in an Anadarko church, Sunday, Aug. 23. Daniels, a pastor from Oklahoma City, traveled to Anadarko every other Sunday to preach. The district attorney involved in the case called it "horrific." On June 8, 2008 Taylor Placker, 13, and Skyla Whitaker, 11, were shot a total of 13 times on a dirt road between Okmulgee and Okfuskee counties. Oklahoma City pharmacist Jerome Ersland was convicted of first-degree murder in the May 19, 2009 shooting death of a would-be robber, 16-year-old Antwun Parker, while Parker was incapacitated and lying on his back. Ersland is serving a life sentence in prison.